PGA Tour Champions announced the 2019 tournament schedule, featuring 27 events and culminating with the 30th annual Charles Schwab Cup Championship. The 24-event Regular Season will again highlight the Charles Schwab Cup Playoffs, which will be used to determine the season-long champion. The Tour will contest events in four countries and 19 states in its 40th season, with total prize money of nearly $58 million. The 2019 season will begin with the Mitsubishi Electric Championship at Hualalai the week of January 14-19 (Saturday finish), where 2017 PGA TOUR Champions Rookie of the Year Jerry Kelly will be the defending champion. The Tour will welcome a handful of new players next year, including two-time U.S. Open champion and 2019 World Golf Hall of Fame inductee Retief Goosen of South Africa, as well as two-time major champion Angel Cabrera of Argentina. World Golf Hall of Fame member Ernie Els, who turns 50 after the conclusion of the regular season, will have to wait until 2020 to make his official debut. 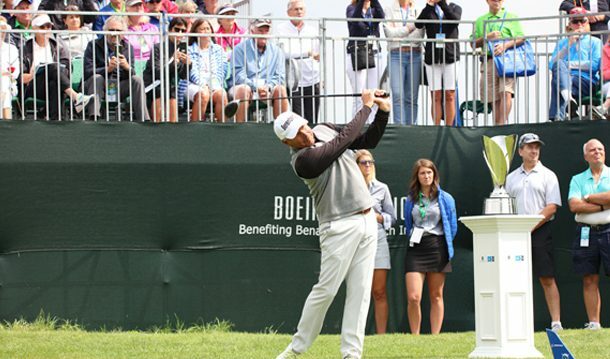 The annual Boeing Classic is set for Aug. 23-25 at the Snoqualmie Ridge Golf Club outside of Seattle and will feature one of the top fields on the tour like is usually does.